Spaced is a British television sitcom created, written by and starring Simon Pegg and Jessica Stevenson, and directed by Edgar Wright, about the (often comic and sometimes surreal and absurd) exploits of Daisy Steiner and Tim Bisley, two twenty-something Londoners who, despite only having just met, decide to move in together after she gives up on squatting and he is kicked out by his ex-girlfriend. Co-stars in supporting roles include Nick Frost as Tim's best friend Mike, Katy Carmichael as Daisy's best friend Twist, Mark Heap as lodger Brian who lives downstairs, and Julia Deakin as landlady Marsha. The first series of the show, comprising seven episodes, premiered in the UK on Channel 4 24 September 1999, and the second and final series, also consisting of seven episodes, premiered on 23 February 2001 before concluding on 13 April, with the final episode of the second series also serving as the series finale. Both series were nominated for the BAFTA TV Award for Best Situation Comedy. The series largely concerns the surreal and awkward adventures of Tim and Daisy as they navigate through life, decide on what they want to do with their lives, come to terms with affairs of the heart, and try to figure out new and largely unproductive ways of killing time. Tim and Daisy repeatedly stress that they are not a couple to everyone but Marsha, but despite (or because of) this, romantic tension develops between them, particularly during the second series. The show has been broadcast on More4, 4Music, Dave, London Live, and GOLD. The show has a distinctive cinematic style set by Wright and is shot with a single camera. In addition to borrowing liberally from the visual language of film (in particular genre films), it has particular stylistic mannerisms, such as the recurring device of scene changes occurring in the middle of a pan. The series' atmosphere is also established by the use of a particular flavour of contemporary dance music on its soundtrack. Northern Exposure's frequent use of fantasy sequences was "one of the key influences" in the creation of the show, and Pegg and Stevenson pitched the show to LWT as "a cross between The Simpsons, The X-Files and Northern Exposure." Spaced was nominated in 2000 and 2002 for a British Academy Television Award for situation comedy. Jessica Stevenson won the British Comedy Award in 1999 and 2001 for best TV Comedy Actress. Simon Pegg was nominated in 1999 for the British Comedy Award for Best Male Comedy Newcomer, and the series was nominated that same year for the British Comedy Award for Best TV Sitcom. The show's second series was nominated for an International Emmy Award in 2001 for Popular Arts. Spaced Series 1 and 2 were both released on DVD in the United Kingdom. These were followed by a boxed set which collects the previously released single-series DVDs, adding a bonus disc with a feature-length documentary, Skip to the End, behind the scenes of the show, as well as a music video by Osymyso. Music rights issues long prevented the release of Spaced in Region 1 (U.S. and Canada). Despite the raised profile resulting from Shaun of the Dead and Hot Fuzz (film collaborations between Pegg and Wright that performed well in the Region 1 countries), no DVDs surfaced between 2004 and 2007. In an interview, it was suggested[by whom?] a deal with Anchor Bay Entertainment failed to come to fruition over the music rights. Wright announced the release of a Region 1 Spaced DVD release on 22 July 2008, which included an all-new commentary with Wright, Pegg, and Stevenson, as well as special guests Quentin Tarantino, Kevin Smith, Seth Rogen, Diablo Cody, Danny Antonucci, Matt Stone, Seth MacFarlane, Seth Green, Johnny Knoxville, Bill Hader, Dave Willis, Tim Heidecker, Greg Sestero and Patton Oswalt. Supplemental features included the original commentaries, the Skip to the End documentary, outtakes, deleted scenes, and raw footage. Individual tracks that were particularly featured in an episode included "Is You Is or Is You Ain't My Baby?" by Louis Jordan,[ep 6] "Smash It" by Fuzz Townshend,[ep 7][ep 8] and "The Staunton Lick" by Lemon Jelly. A Guy Pratt remix of the A-Team theme song, featured at the conclusion of "Epiphanies",[ep 5] was a fan favourite, but was never made commercially available. In 2001, a soundtrack to the first series was released in tandem with the first series' release on DVD and videotape. A second soundtrack was not released, although the series' official fan website has an episode-by-episode list of music featured in the second series. Since the show's end, cast and crew associated with Spaced have been quoted with differing opinions as to whether a third series would be produced, with their most recent statements reflecting a consensus that the show has concluded and will not see a third series. Edgar Wright initially was "torn" about making more Spaced, saying "we have genuinely talked about it and have some neat ideas that could work in a Before Sunset/Whatever Happened to the Likely Lads? kind of way". However, in April 2007, Wright confirmed that the show no longer had any possibility of returning in any form, as the actors were all now "too old", and he and Pegg feared it would ruin a good thing. In August of that same year, Wright told Rotten Tomatoes that "there's not going to be a third season, it would be silly now" but that they could "do something that sort of like catches our heroes ten years later." During an interview with The Guardian in July 2013 promoting The World's End with Edgar Wright and Nick Frost, Pegg stated: "Whenever we get asked about... another series of Spaced... one of the reasons we're not going to do it is because we couldn't possibly write it with any degree of truth now, because that's not where we are or who we are any more. I always find it's better to write from a perspective of truth." 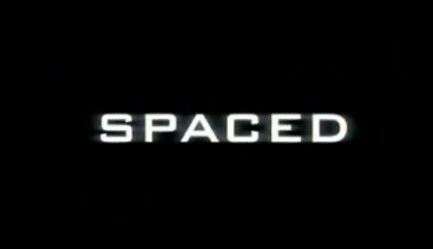 Fox announced on 29 October 2007 that it would commission a pilot for an American version of Spaced, a project they then scuttled in May 2008 following a generally negative reaction from the series' creators and fans of the original show. Wright was initially approached about an American version after the first series was broadcast in 1999, and felt an American remake was impossible due to the series' fundamental theme. "Same reason it couldn't be a film," Wright said. "Part of the charm of 'Spaced' is it's people in north London acting out stuff from American films... you know, Hollywood in, kind of, suburbia... American TV is much more glamorous. It doesn't make any sense. I remember that the producer at the time said, 'Yeah, we'd have to change a few things. We'd have to take out the drugs and the swearing, and obviously, Mike can't have guns.'" Neither Wright, Pegg, nor Stevenson were at any point approached regarding the proposed American remake, which Wright had dubbed "McSpaced", due to the involvement of film director McG. Wright was upset that "they would a) never bother to get in touch but still b) splash my and Simon's names all over the trade announcements and imply that we're involved in the same way Ricky & Steve were with The Office". Pegg and Stevenson also complained of the "lack of respect" demonstrated by the creators of the proposed American series, who left them out of discussions as well. Wright was also angry at the media for what he felt was their overlooking of Stevenson's role in the creation of Spaced by connecting the series to Shaun of the Dead and Hot Fuzz in news articles. ^ Edgar Wright, dir. ; Simon Pegg and Jessica Stevenson, writers (24 September 1999). "Beginnings". Spaced. Series 1. Episode 1. Channel 4. ^ a b Edgar Wright, dir. ; Simon Pegg and Jessica Stevenson, writers (2 March 2001). "Change". Spaced. Series 2. Episode 2. Channel 4. ^ Edgar Wright, dir. ; Simon Pegg and Jessica Stevenson, writers (30 March 2001). "Gone". Spaced. Series 2. Episode 5. Channel 4. ^ Edgar Wright, dir. ; Simon Pegg and Jessica Stevenson, writers (8 October 1999). "Art". Spaced. Series 1. Episode 3. Channel 4. ^ a b Edgar Wright, dir. ; Simon Pegg and Jessica Stevenson, writers (29 October 1999). "Epiphanies". Spaced. Series 1. Episode 6. Channel 4. ^ Edgar Wright, dir. ; Simon Pegg and Jessica Stevenson, writers (5 November 1999). "Ends". Spaced. Series 1. Episode 7. Channel 4. ^ Edgar Wright, dir. ; Simon Pegg and Jessica Stevenson, writers (23 February 2001). "Back". Spaced. Series 2. Episode 1. Channel 4. ^ Edgar Wright, dir. ; Simon Pegg and Jessica Stevenson, writers (9 March 2001). "Mettle". Spaced. Series 2. Episode 3. Channel 4.